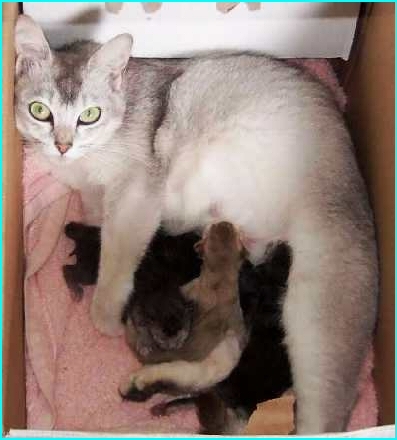 Katie is a black shaded silver second generation Burmilla - 11/16 Burmese and 5/16 Chinchilla. She is our senior breeding queen and an excellent mother. 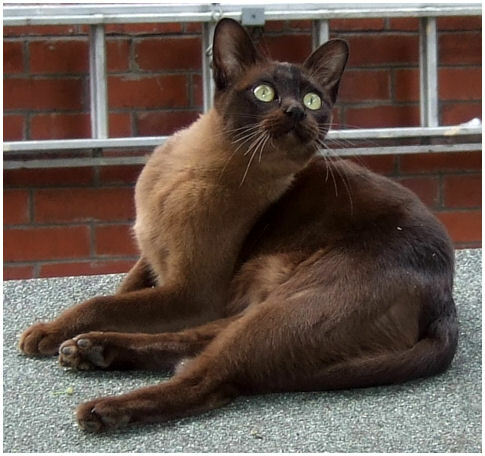 Cassie is a brown Burmese. 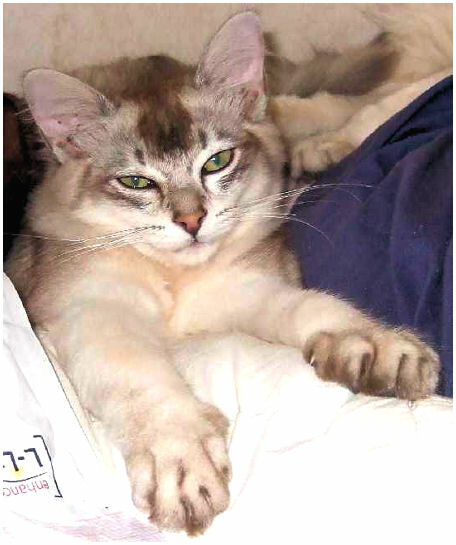 In August 2010 she presented us with a litter of three wonderful Burmese babies sired by Basil. This is the first Burmese litter we have had since 1999 so we are absolutely delighted! Cassie has one CAC from her first FIFe show. 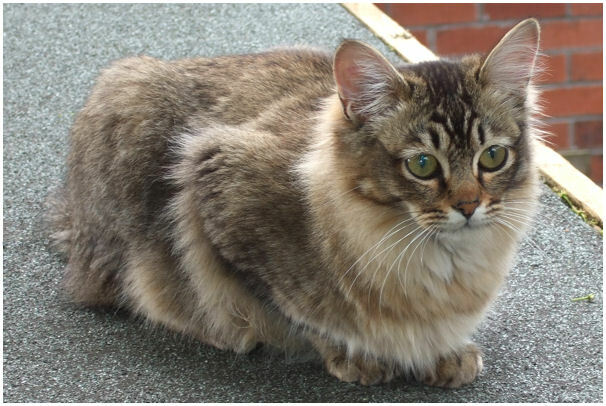 Mitzi, who is a black ticked tabby Tiffanie, is our best show cat at the moment. She gained her title at the age of 13 months. In August 2010, she gave birth to her first litter sired by Basil. Fiona is a brown shaded silver Tiffanie (third generation). We hope to have kittens from her next year (2011). 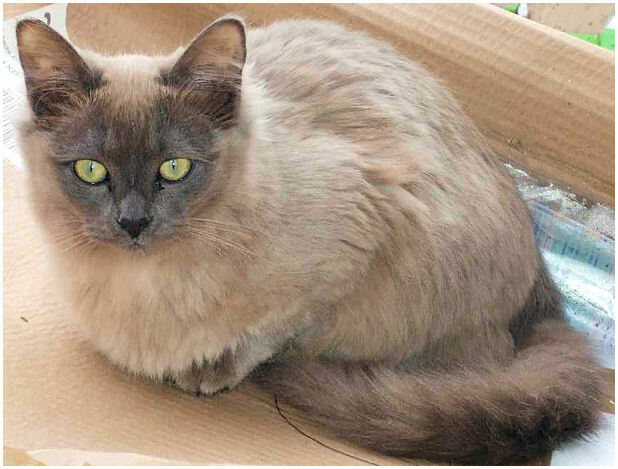 Dawn is a blue Tiffanie (Burmese pattern). In August 2010 she presented us with our fourth generation of Huggibear Asians. This event we have been waiting for since 2000! Sadly, only one kitten survived but this kitten is strong and healthy. The kitten's sire is Nigel.